If you prefer your lollies gummy or with a sprinkle of sugar then you'll love our selection of gummy sweets & candies. You can find all your favourite gummy lollies right here! Order in bulk and save, buying gummy lollies online has never been easier! These beauties taste like the "Real Deal" If you haven't tried them and you love Watermelon these are what you want. 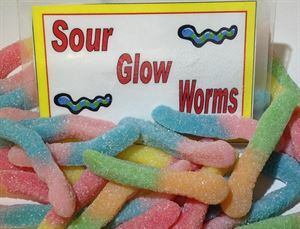 Don't be fooled by the looks of these - they're not sour in the least. Lovely strawberry flavour. A kid's favourite! 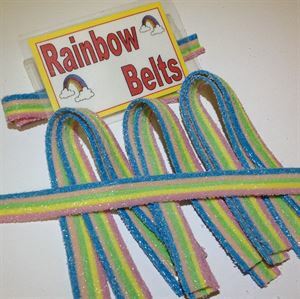 (Great for big kids too) Multi-coloured strips of candy, lightly dusted with sour sugar to give them a little kick. 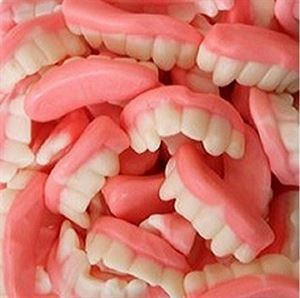 Yummy gummy sweets with a light dusting of sour sugar.